Overhead Door™ garage door products are made from only the highest quality materials and craftsmanship, for both residential and commercial buildings. 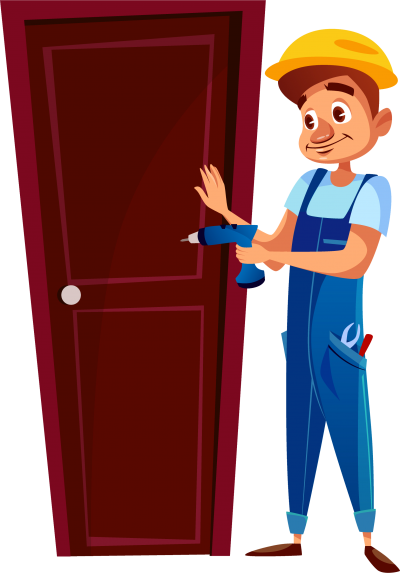 And we back every door and operator we make and install with our exceptional warranties and superior 24/7 service. Performance you can rely on. Service you can trust. We’ve been proudly serving the Worcester and Leominster communities since 1982. We provide sales, service, and support for all residential and commercial garage door and loading dock equipment needs. We’re the area's only authorized dealer of Overhead Door™ products. And we’re right in the neighborhood. Stop by one of our two showrooms and see for yourself why we’re the premier choice for homeowners and businesses alike. Beauty. Functionality. Peace of mind. We make and install the best garage door systems that you can rely on for maximum quality, performance, safety and security. See our signature collections, styles and materials for residential or commercial applications. Beauty, functionality and security are built into each and every Overhead Door™ product. With only the highest quality materials and styles that suit your personal needs, taste, and budget. See our full line of contemporary and traditional residential doors and signature collections. Our commercial and industrial doors are tough enough to withstand the most extreme wear and tear from the daily operations of your business. That’s why our doors are the premier choice for durability, security, serviceability, and hassle-free performance for some of the largest companies in central Massachusetts. ​​​​See our full line of doors, shutters and grilles for every type and size of business. We also provide a full line of dock levelers, scissor lifts, vehicle restraints and seals & shelters. Our garage openers are powerful, quiet and durable and built for easy operation, reliability and convenience. See our complete lines of belt-drive, screw-drive and chain-drive openers. And with our remotes, wall consoles, keypads and smartphone apps, we put convenience and control in your hands. For both homeowners and commercial/industrial applications. We take the headaches out of servicing your garage door should you ever need it. We also service operators, openers and loading dock equipment. Whatever the problem is, our expert technicians are available 24/7 to fix it. Schedule a service call or contact one of our experts now. You will always talk to a live person when you call us! Our detailed owner’s manuals, product guides and fact sheets provide all the information you need about our products including specifications, functionalities, selection tips, and guidance on how to maintain and extend the life of your garage door. Use our online, interactive DoorView® tool to design your own door. Are you a commercial architect? Download our free drawings and specifications directly to your desktop. We’re much more than doors! Recently, we contacted Overhead Door Company of Worcester to repair a broken spring. They responded quickly and courteously. Their technician was knowledgeable, and he did a great job. Thank you for your excellent service! I love my new doors and operator! My home looks better than ever. The technician was extremely professional and knowledgeable. Great job Overhead Door. Thank you! I will tell all of my friends. I have been in business for 30 years and I have been extremely happy with the service as well as the quality of the products. I would recommend this company to everyone. Hands down a GREAT COMPANY to service your garage door! The customer service is awesome, and the owners really know what’s going on! We have had a hard time getting a garage door company to look at a not so ordinary large door. These doors are massive and not everyone will service them. I talked to Overhead Door and they came right out to look at what we needed for repairs and preventative maintenance on all 13 doors. Great company and people to work with and very knowledgeable. We have already recommended them to others! What is R-value (thermal efficiency), and how does it benefit me? How do I program my remote or HomeLink®? Can I see how the doors I like look on my home? One of our Overhead Door™ specialists will personally visit your property to evaluate your needs, recommend the best solution for your Worcester and Leominster area property, and provide you with a detailed estimate. Just fill out our handy contact form and one of our experts will get back to you shortly to schedule your free estimate.